Free Durham hedge trimming estimate, contact us today! Spring is here and that means for the next several months your hedges and shrubs are going to need regular trimming. Regular hedge trimming is something that many homeowners hate doing because it can be time consuming. And it means purchasing a lot of specialty equipment in order to get the job done right. 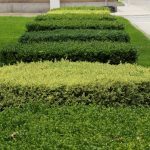 That’s why the best option for homeowners is to hire a professional to trim hedges in Durham and the surrounding areas. Just like plants and trees hedges and shrubs need to be trimmed regularly in order for them to be healthy. Cutting away the dead branches and leaves allows room for new healthy growth. And when the weather is warm and the summer rains come hedges and shrubs can grow very quickly and require a lot of attention to keep them healthy and looking the way they should. When you hire a professional hedge trimmer you’d getting the benefit of making sure that your hedges and shrubs stay healthy. The two things that homeowners never have enough is time and money. You can save both by hiring a professional to trim your hedges and shrubs. Instead of having to spend hours on the weekend or after work at night working on your shrubbery you can enjoy your time off and your weekends by letting a professional hedge trimmer take care of your hedges. And you will save a lot of money by hiring a professional that has all the expensive equipment necessary to do the best job cutting hedges so that you don’t have to buy a lot of lawn and garden equipment that you will only use during the spring and summer months. Homeowners always want their homes to look great. But especially during the spring and summer it’s important to make sure the house and landscaping look great because that’s when people are out walking and riding their bikes in the neighborhood by your home. And you definitely want to make sure the house looks good when friends and family come over for picnics, barbecues and parties. 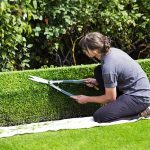 You may even be required to keep up the hedges and lawn by your homeowner’s association which can levy fines if regular trimming and cutting isn’t done. When curb appeal matters but you don’t have the time to be regularly trimming hedges and shrubs the best thing you can do is hire a professional. No one enjoys cleaning up after trimming hedges and shrubs. There are piles of leaves, branches and debris that have to picked up and disposed of properly. But when you hire a professional trimmer to do your hedges and shrubs you don’t have to worry about cleaning up the mess afterward. All of the debris that’s left over after the job is done will be cleaned up for you so that you don’t have to lift a finger. Why not let someone else handle the messy cleanup of getting rid of all those branches and leaves? Hire a professional hedge trimmer so that you can relax and just enjoy your beautiful yard. Trimming hedges and shrubs isn’t as easy as it might look. And if you make a mistake your hedges and shrubs will look terrible until they grow enough to cover the mistake. Kind of like getting a bad haircut it can seem like it takes forever to rectify the mistake and make the hedges and shrubs look great again. 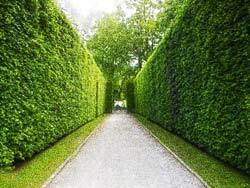 But a professional hedge trimmer knows exactly how to shape and trim hedges and shrubs so that they look natural, well-kept and attractive. 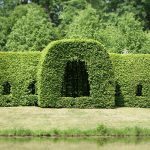 If you have never cut hedges or shrubs before or if you are worried that you will make a mistake and make your house look terrible the best thing to do is hire a professional trimmer. Years of experience and training give professionals the knowledge and skills to handle any type of hedges or shrubs with confidence. There are some home improvement jobs that you can and should handle yourself to save money or time. 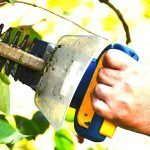 But when it comes to something like hedge trimming that has to be done regularly and it has to be done right every time it’s much easier, cheaper and more effective to hire a professional trimmer. Your home and yard will look great and you won’t have to sacrifice your free time. Call today for a free estimate for hedge and shrub trimming at your home to keep your lawn and home areas looking bright and attractive but also well cared for and not wildly overgrown all spring and summer. For all shrub trimming Durham needs you can rely on iTrim4u. Need a Durham shrub or hedge trimming quote?